Winds of the Spirit. These are ministry opportunities that have unexpectedly opened to MEANS. Outside the Box is a different and unconventional way to share the Gospel from a new perspective. God is opening a new way for MEANS to reach out to prisoners in San Carlos City prison in Negros Occidental, Philippines. IVCF students in the area have been encouraged to reach out to them, after the initial distribution of flip flops to jail inmates. 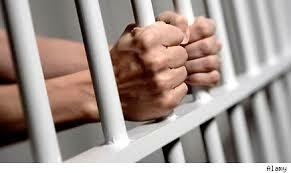 This month, we are sending books to prisoners in San Carlos City Jail. MEANS believes that books are tools for learning and for opening the minds of people to new ideas and possibilities. By sending RTG books to prisoners, we hope to foster a love for reading, to encourage the pursuit of knowledge, self-improvement, and to provide inspirational books with good moral values. Out of the box Ministry! Interesting how the Lord is opening a new avenue of ministry for MEANS. It happened this way. A prison official from San Carlos City Jail in San Carlos, Negros Occidental joined the MEANS/IVCF Philippines tree planting event in Balabag Elementary School in Barangay Quezon, Balabag, San Carlos, Philippines. She asked Eumir Villamor, regional director of IVCF West Visayas what other causes IVCF have and he replied: Read to Grow (RTG). 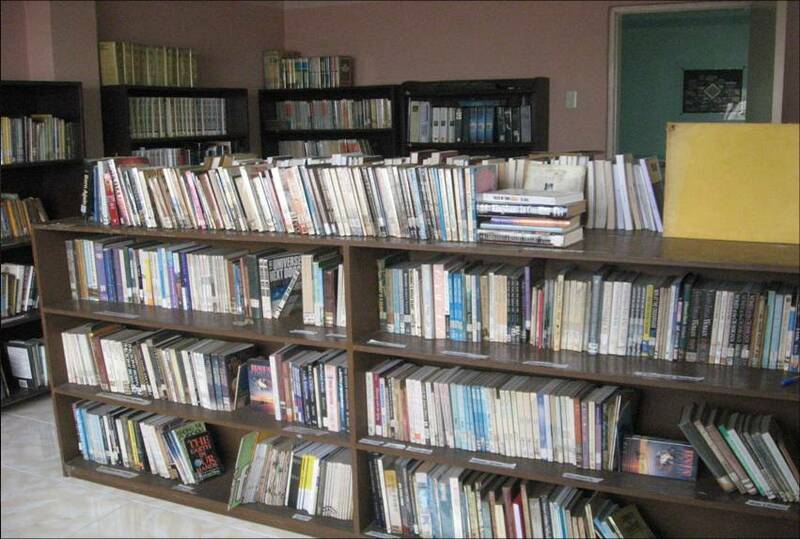 The prison official asked if their prison library can avail of RTG books for the inmates. We said yes to the RTG request. Here is a personal story from one of the volunteers who went to San Carlos City Prison in San Carlos, Negros Occidental, Philippines to help distribute MEANS flip flops (rubber slippers) to inmates. 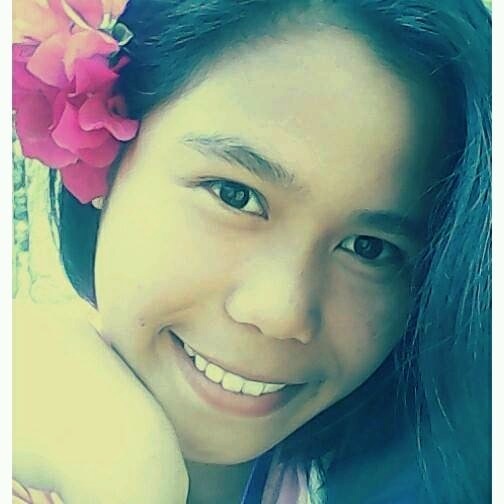 Erza Marie Valente – Third Year student, Bachelors of Science in Education – Major in Social Science at Philippine Normal University, Sagay, Negros Occidental, Philippines. Love – put into giving is more than enough. 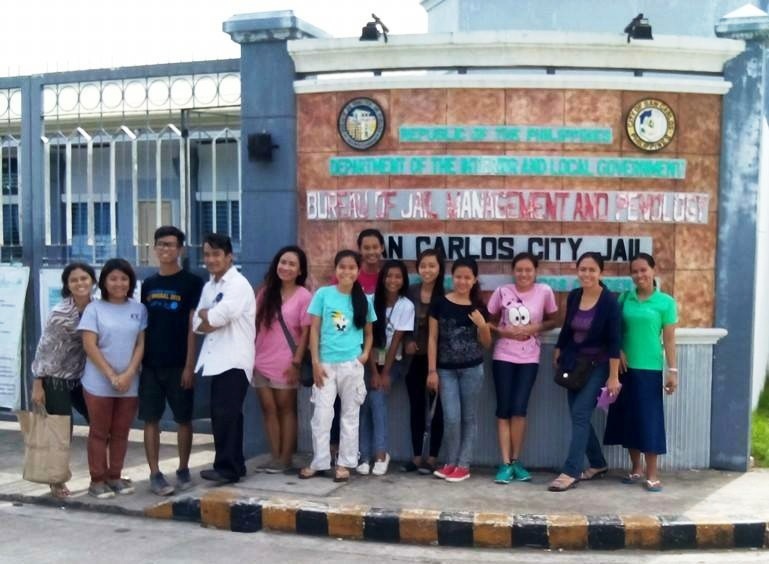 On December 22, 2014 we went to San Carlos City jail to visit the prisoners there remembering what Jesus Christ once said, “When I am in prison, you visited me.” We gave the inmates rubber slippers, lemon square cheesecakes and fruit juices. I know it is not much, but with much love put into giving, it is more than enough. We asked the inmates to write a letter to their loved ones. We brought some crayons because pencils and pens or any sharp materials are not allowed inside the jail. Some inmates laughed and said it was childish, but they used the crayons and even drew something on their papers. We promised to give the letters to their families. 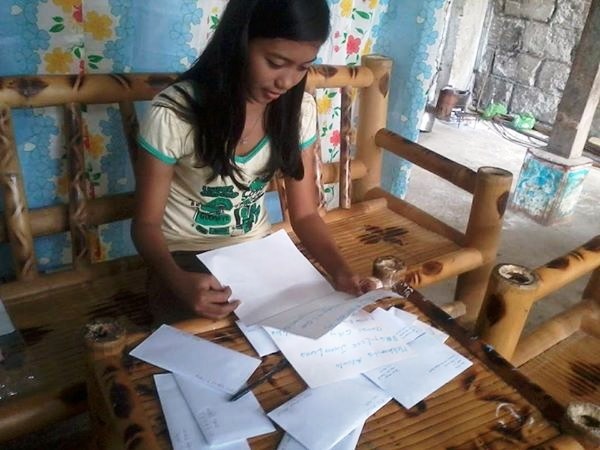 Together with my other IVCF girlfriends, ( Yna Marie Arceli, Jolly Lidres, Jomelle Leduna Alfabete and Liezl Tangarorang Silva) we divided the letters according to the places where we live so we could give them easily to the addressee. 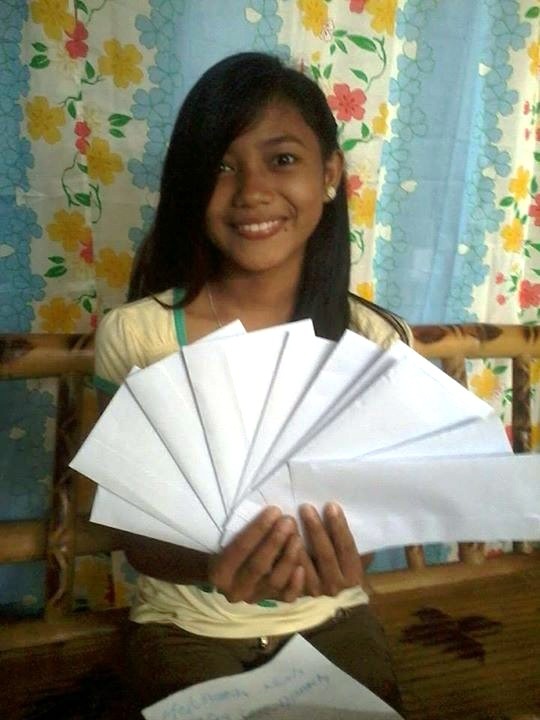 We distributed these on Christmas Day, December 25, 2014! Sacrifice – walking through slippery, muddy paths. Overwhelmed with excitement to distribute the letters on Christmas day, we immediately went in spite of the pouring rain. We didn’t mind that we didn’t have an umbrella with us. We look for the home addresses to deliver each letter. We encountered different responses from the receivers. Some made me and Liezl nervous and disappointed. Some made our hearts melt; while others made our stomach ached with laughter. I remembered a parent of a prisoner saying to us “Ipakasal ko nalang siguro si **** sa isa sa inyo ay para mabuotan na!” ( I want my son to marry one of you, so that he will be transformed). Funny, yet we can clearly see the love of a parent to his son. 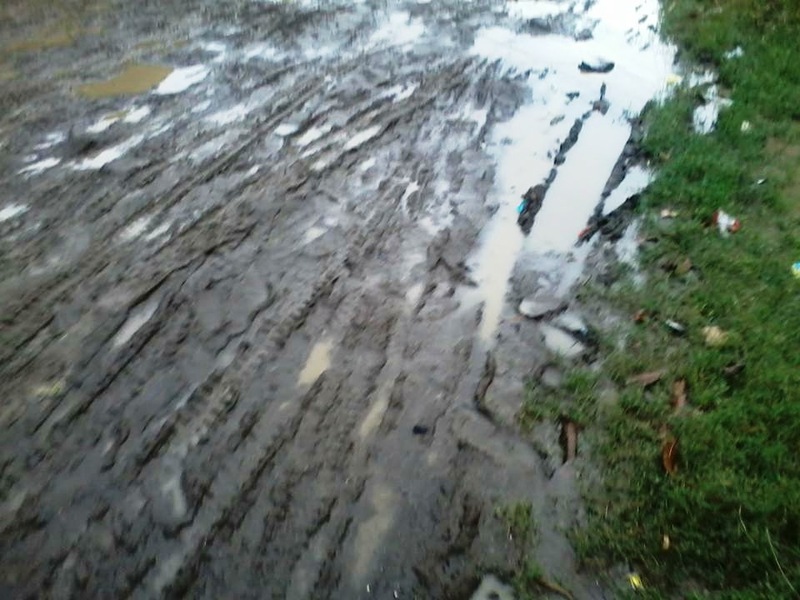 With our slippers on, we walked on the slippery and muddy areas, not minding the rain and mud that stuck on our little feet until we finished delivering them all. What a blessed way to spend Christmas! For other houses that we could not locate, we sent messages on the public radio and posted them on Facebook. 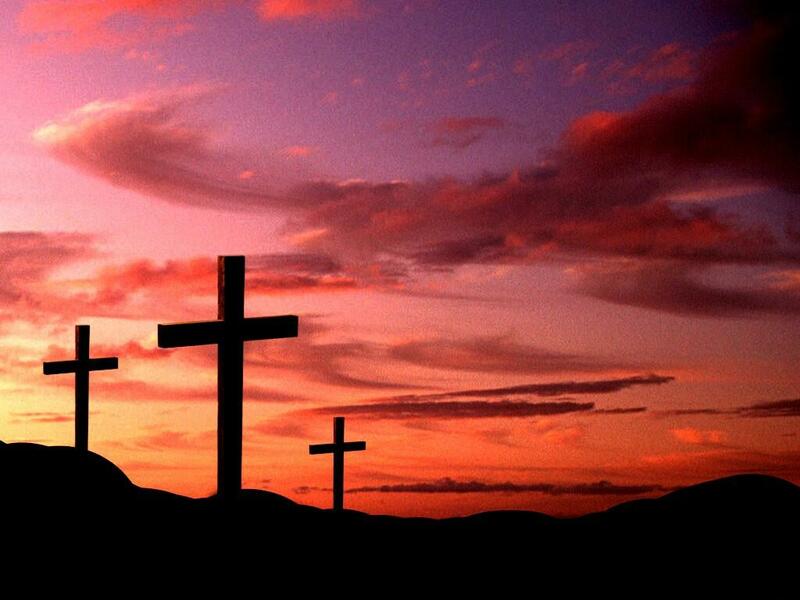 Channel of blessing – We did it all for God’s cause. What motivated us to do this is not the organization that we belong to. We want to be God’s instrument in the expansion of His kingdom and a channel of grace towards His beloved people, even those living in San Carlos prison. 4. Provide hygiene kits as allowed like: bath soap, face towel, comb, toothpaste, and toothbrush.